"Religious Authority"? Do Unitarian Universalists have any? UUs place a lot of emphasis on the authority of individual conscience. We have no authoritative creed, nor any ecclesiastical counsel that declares what a faithful UU must believe – for, after all, for us, one’s religion isn’t about what one believes. (It’s about the ethics and values that guide one’s life, the community to which one commits, and the experiences one has of transcendence.) We are not only creedless, but canonless. That is, we do not particularly privilege, for instance, the 66 books of the Protestant Bible among sources of spiritual insight and wisdom. In being creedless, UUs are joined by such other heirs of the Protestant Reformation as Baptists, Disciples of Christ, and Churches of Christ. In being canonless, however, UUs are distinct among the heirs of the Reformation -- and, indeed, among the heirs of Abraham. While we have no closed canon of religiously authoritative texts, we do have an open, evolving and loosely-defined tradition of thought. Sources from ancient sages to Transcendentalist writers in the 19th century to contemporary ecospiritual writers inform our Unitarian Universalist tradition. You’ll find their names in the index of authors in the back of our Singing the Living Tradition hymnal. These are “religious authorities” for our tradition – voices of wisdom that we UUs collectively celebrate. For now. The next edition of our hymnal will doubtless add some new names and remove some of the ones currently cited. Our liberal religious tradition has insisted for centuries that no one turns over the authority of her own conscience to anyone else at the church door. Yet your, and my, individual conscience isn’t always trustworthy. This isn’t because any other single source is reliably more trustworthy. It’s just that there is such a thing as path toward deeper wisdom, and there are such things as guides along that path – not guides that tell you what to think or do but that offer pointers for how individual conscience might work a little better – better for you, better for the world (if, indeed, there’s a difference – a proposition which grows increasingly untenable along the path of deepening wisdom). Synchronicitously, our Community Unitarian Church decreed a religious authority for itself just in time for “religious authority” month. The authority that we decided to be guided by is our mission: to nurture spirituality, foster compassion, and engage in service to others. At a recent UU forum, the question was raised, “Who owns the congregation?” Most of us immediately think of the members as the owners. In that forum, however, a beautiful point was made: the mission owns the congregation. The mission brings the members together; the mission is the reason the members joined; and the mission is what the members are there to serve. In the liberal religious tradition, we make our own authority, which is quite different from having none. Having made, or found, our authority, we must now heed it. I have been a Unitarian Universalist my whole life, and have been in adult leadership for more than half my life. (I was just 25 at the beginning of the year I served as Pre. sident of the Waco, Texas Unitarian Universalist Fellowship. When I think of how clueless I was then, it is with some relief that I check and see that the Waco Fellowship still does still exist – and has grown some since 1984.) Through the years I have been at many meetings welcoming and orienting our new folks – many new UU classes in many states. I must have heard thousands of the five-minute versions of the spiritual journeys of Unitarian Universalists. Every story is unique and precious. Most also include one or more of a few common themes. And the people who join today will frequently say they spent years being a UU and not knowing it – not knowing that how they felt, what they valued, was called Unitarian Universalism. They are glad to find there is a name for people like them. They begin identifying as UU. Identification (identifying oneself as a UU) is the first stage. Hundreds of thousands of self-identified Unitarian Universalists stop at this stage. We know this because the membership rolls of all 1,000 UU congregations total less than 250,000 people, yet nationwide telephone polls consistently put the number of people who identify themselves as Unitarian Universalist as about three times that – around 700,000. So about two-thirds of self-identified UUs are not on the membership rolls of any congregation. But membership isn’t simply identification; isn’t merely a matter of choosing a label that seems to fit. To choose membership is to choose a process of showing it. To choose membership in a faith community of those on a path to grow and deepen through commitment to each other is to choose to discover and create belongingness. The original meaning of “blessed” is “to be situated, to be in place, to be located in a context of purpose and meaning” – in other words, to belong. Therefore, membership is the blessing of life. And life and growth are not always about warm, fuzzy, happy times. To choose membership, belonging within a community of fellow travelers on a faith path, is also to choose presence to the sadness, grief, and loss that comes with life. Congregational life certainly encompasses weddings and child dedications. Congregational life is also the place of belongingness when it is time for funerals and memorial services. Unlike at the Super Bowl, in congregational life you always get a good seat. Through the festivals and the games, and through the funereal commemorations of loss -- through all that life is, becoming all that we each are -- we need to belong. This is part 4 of 4 of "The Meaning of Membership"
Previous: Part 3: "Process of Enlarging Understanding"
Beginning: Part 1: "The Super Bowl and Simulacra of Community"
to engage in service to transform ourselves and our world. This commitment is not a matter of "do" or "don’t do." It’s a matter of ongoing deepening into and growing into. What we commit to is a process. There’s no point at which we’ll say, “OK, done. What’s next.” Living missionally is a way of life, and a method of ongoing blossoming. We commit to presence, to show up for each other. We commit to participation, to engagement in our community’s deliberative processes, and helping out in the realizing of our programs, our ministries. We commit to a pledge, according to our financial means, to fund those programs and ministries and maintain the building in which they are fostered. We commit to practice. "Practice" is everything I’ve been talking about summed up in one word. Practice cannot be solitary, for we need each other to see where we are, and shine lights toward where we might head. None of these commitments are on/off switches. They are a road, a method. Paradoxically, even as we are each of us at a different place on that road, we are also all on it at the same place: right here, together. And even as we are together, we are also each of us at a different place. A parallel from Zen illustrates. In Zen, the subject of enlightenment pops up from time to time: What is enlightenment? How do I get enlightened? Boy, wouldn’t enlightenment be great? The practice is the enlightenment. We’ve all heard: "It’s the journey, not the destination." 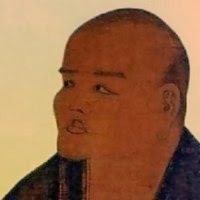 Dogen is saying the journey is the destination. There is no “there” to go to except the process itself of going there. We seek membership – real membership in real community – that we may know ourselves by becoming rooted in belonging – and thereby meet our need for growth and transformation. For James Luther Adams, the first of the five smooth stones of liberalism is, “revelation is continuous.” Using both reason and intuition, we spend our lives seeking to enlarge our understanding of ourselves and others and the world around us. But the point unpacks as the same: membership means a process of enlarging our understanding. This is part 3 of 4 of "The Meaning of Membership"
Next: Part 4: "We Need to Belong"
Previous: Part 2: "Realizing Who We Are"
I’m not sure I entirely agree with Allan Bloom’s take on what real community is. He seems to think it’s all about the relationship philosophers have with each other. He was criticized for being elitist – and he is. Still, in a certain way, he’s onto something. Even where I disagree, I see that he’s pointing toward something important. OK. Know what? If we follow the classical allusions to Plato and Aristotle back to Plato’s mentor and hero, Socrates, we get an answer to that question. Socrates said, “Know thyself.” The real community, then, is the community of those who seek self-awareness. Real belonging is about realizing who we are. Notice that double meaning of “realize.” “Realize” means, "to become aware of." It also means, "to make real" – as when we realize our hopes, or realize a profit. We become who we are, we make ourselves real, in the very process of becoming aware of who we are. That process is membership: real membership in real community. 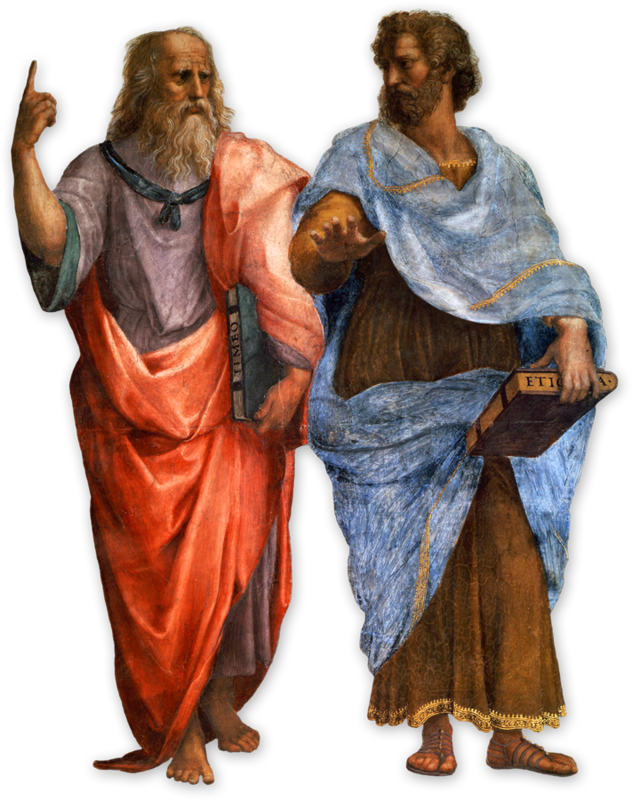 Plato and Aristotle are perhaps as good a paradigm of that as any, “at the very moment they were disagreeing about the nature of the good,” for that phrase points to a balance of kindred-spiritedness together with diversity of perspective and loving challenge to each other. It’s what we regularly and continually do in congregational life. Live out their faith. Become who they are. This is what the commitments of membership are all about and what they are for. We commit to affirm and promote inherent worth and dignity of all; justice, equity, and compassion; acceptance of one another and encouragement to spiritual growth; a free and responsible search for truth and meaning; democracy and rights of conscience; world community with peace, liberty, and justice for all; respect for the interdependent web – because such commitment represents a path. These are not rules designed to keep the order of a static institution. They are principles to urge us forward. Wherever you are on your journey, you are welcome here – that we may explore together what these ideals mean for our lives. Living by our principles is not about did you or did you not adhere to something. It’s about: What’s next? How can we walk together toward a deeper and fuller realization? Wherever you are, wherever I am, at any given time, that's where we are. How can we walk from there together on the path of deepening into these principles – the path of developing our skills, by practicing, over and over, in infinite varieties of situation, for living from a grounding in these principles? This is part 2 of 4 of "The Meaning of Membership"
Next: Part 3: "Process of Enlarging Understanding"
I watched the Super Bowl on Sun Feb 2. It’s such a huge thing – so much investment of money and time and resources – and excitement. You might have heard about the young man who won a ticket to the Super Bowl, and he was so excited. His excitement lessened as he realized his seat was in the back of the stadium. As sat up there and used his binoculars to scan the seating closer to the field. He spotted an empty seat much closer, on the 50-yard line. He went down and approached the man sitting next to the empty seat and asked if it was taken. The man replied, "No." "Oh, how sad," the man said. "I'm sorry to hear that, but couldn't you find a friend or relative to come with you?" "No," the man said, "They're all at the funeral." This, of course, is a joke. Surely no one would really skip their partner’s funeral to watch a football game – would they? Still, some people take the Super Bowl pretty seriously. I watched it this year. LoraKim and I had a few of our clergy acquaintances over. We had a good time. Since then, I’ve been thinking about the meaning of membership – about how membership is about belonging. To belong to – to be appropriately assigned to: nothing feels better. To be among the people that it is right for us to be among because we find concern and respect, and have concern and respect for others – to live without alienation – to be rooted in the soil we were made for and made by -- is this not the life we most want? Simulacra of community? Like . . . ? Oh, yeah, that’s what the whole Super Bowl experience is, isn’t it? The Super Bowl is about three things: there’s the game itself, there’s the commercials, and there’s the half-time show. First there’s the simulated community of sports team fan-dom. I mean, I kinda like watching football. It’s fun, sort of. There’s a pretense to it – pretending to care about the outcome, or, at least, pretending that there’s actually a reason to care about the outcome. There’s a time for letting oneself slip into that illusion, enjoying the illusion, and then there’s a time for seeing through the illusion. I’ll kid myself again later, but in between games or seasons it’s good to acknowledge the reality: One billionaire bought himself a bunch of athletes to play a game against another billionaire’s bunch of athletes. And we, the fans, pretend to be identified with one of those bunches of athletes because we want community so much that we’ll take simulated community. The community of Broncos fans or Seahawks fans – or Jets fans or Giants fans (of which I am one, now) -- is a simulacrum of community. We aren’t really a member, in the true and real and deep sense of that word, of anything. In fact, though they are called “football clubs,” not even the players and coaches themselves are really members in any meaningful sense – they’re just fulfilling the terms of contracts, and, should they be traded, or become free agents, will be just as happy to play for the rival team. No one’s a real member, and there is no real community. Watching an NFL game means spending more time watching commercials than actual playing. And that’s the second set of simulated communities. The commercials try to make it feel like there’s a community of people who own X, or of people who consume Y, because community is what the heart longs for, but it’s all fake community. And as with sports-team fan-dom, so with product fan-dom: we know it’s simulated community, but we kind of enjoy the illusion because that’s how hungry we are for community, for a context of connection. And so also with the fan-dom of musical bands, and that leads to the third part of the Super Bowl, the half-time show – which makes no effort to hide the fact that it’s all about spectacle, and which draws us in, if it does, in large part because we want the illusion of being a part of a community that has shared that spectacle. "In the midst of all the self-contradictory simulacra of community." This is part 1 of 4 of "The Meaning of Membership"
Next: Part 2: "Realizing Who We Are"
Since Community Unitarian officially adopted a mission statement last month, it's like there’s a new sheriff in town. Our new sheriff, however, is somewhat enigmatic. All she does is simply stand there. Any question you ask, all she says is: "Nurture each other in your spiritual journeys. Foster compassion and understanding within and beyond this community. Engage in service to transform yourselves and the world." That’s all she says. And she’s the one who’s in charge here. We can ignore her, and she’s not going to come after us, pistols out. We can all ignore her, but we elected her, so I believe it behooves us to heed what she says. If we do, over the next few years she’s going to bring about some big changes around here. I serve that sheriff. I was called by the Community Unitarian Church at White Plains, trusting that CUC would soon appoint my boss. And now it has. 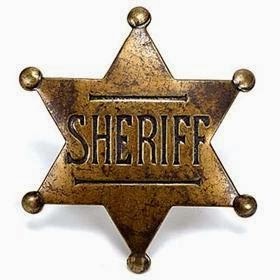 So I'm a deputy sheriff -- one of several, for every congregational leader focused on the mission is another deputy sheriff. The mission will require us to develop some new programs. Nurture each other in our spiritual journeys. How? Through what programs will we do that more effectively? Yes, it kinda happens by accident, but if that’s our reason for being here, we ought to be doing it with intentionality and purpose and focus. Foster compassion and understanding within and beyond this community. How are we going to do that? These are the questions for the Board, Program Council, and every one of our committees to earnestly engage and creatively address. Engage in service to transform ourselves and our world. How, exactly? There are new things we’ll have to start doing to carry out this mission. And there are some old things we’ve been doing for years that we’ll see aren’t serving the mission, so we should stop doing them. Some of those things might be dearly beloved to some of our members, and it will be hard for them to let those things go. To choose a hypothetical: we might have had here a stamp collecting group, or a chess playing group – a dozen or so members of CUC that gathered monthly at the church, and that a few times a year organized a big exhibition of stamps or a chess tournament here in the building. They drew on whatever publicity apparatus the church could provide, and if the turnout of church members for their event wasn’t high, they were disappointed. Becoming a mission-driven congregation means saying to such groups: "These are worthwhile things. Stamp collecting is historical and informative and stamps are beautiful. Chess playing keeps the mind sharp, and it’s fun. No question these are worthwhile things. But they aren’t our mission. There’s a way to use our collective energies more effectively to focus on nurturing each others spiritual journey, fostering compassion and understanding, and serving others to transform our world and ourselves. That’s what we’re here for. If you want to be in a chess club, be in a chess club, but your church doesn’t need to try to also be your chess club. Your church just needs to serve its mission." The reward for knowing what we're doing is we come to feel like we know what we’re doing. A clear focus on mission leads to a process of better and better operational definition of that mission, and as the operational definition gets worked out, the sense of uncertainty clears up. There’s no floundering here – we know what we’re here for, and we go straight to the work of nurturing our spirits, fostering our compassion, engaging our service. Authorized by the authority of our mission to inspect all our pastures to see, as it were, how the water is allocated, we are likely to encounter the occasional angry bull. Flashing a card with the mission statement on it doesn’t stop that bull. So it’s worth remembering that authority is always contextual and always relational. Carefully, lovingly, considerately, slowly let us do this work – the work that we are here to do. This is Part 4 of 4 of "Who's In Charge Here?" Previous: Part 3: "The Day Things Changed at CUC"
Beginning: Part 1: "Who's In Charge Here?" Labels: Who's In Charge Here? There’s something that brings churchgoers to church. A congregation is not a collection of strangers who were on a ship that sank and now are stranded on an island together, making up their own governance because they're stuck there and there’s no one else. We came to church more or less on purpose. So why do we come? We don’t have to be there, but there we are. What are we here for? On 2014 Jan 12, the Community Unitarian Church at White Plains answered that question. CUC said, "We’re here to nurture each other in our spiritual journeys. We’re here to foster compassion and understanding within and beyond our community. We’re here to engage in service to transform ourselves and our world." That's the mission that we adopted with a 95% vote in favor. In the Catholic church, the cardinals elect the Pope, and the Pope then has authority over the cardinals. In the same way, a congregation elects its mission, and the mission then has authority over the congregation. Who owns the congregation? Its mission owns the congregation. Our mission is our highest authority, as the Constitution is the highest law, though, in both cases, it’s up to a shifting body of humans to construct evolving interpretations of it. And that’s a good thing, because if we said the only authority was the membership, the membership’s called minister, the membership’s elected board, and the board’s hired staff, we’d still be left asking, "OK, but what GUIDES the membership, minister, board, and staff?" Since congregants congregate by choice and aren’t Gilligan’s Island castaways, they need clarity on what they're here FOR. Prior to Jan 12, I think, the members of CUC probably felt they had an informally agreed upon reason for being together. But did they actually agree? That wasn't clear. The members joined for different reasons, and stayed because it satisfied some need, though that need might or might not be one that very many others shared. It’s good to have stated what we’re here for. There was previously some language that, for years, was printed on the back of the order of service at CUC and was referred to a the mission. The problem with that was twofold. One, I understand from the history of the congregation as I have read and heard it from long-time members, that the congregation never actually adopted it. It apparently went back to Rev. Clifford Vessey, who was CUC's minister in the 1950s and early 60s, but was never congregationally approved. It’s good to have a mission the congregation actually chose. The more serious issue was this. No one at CUC -- as far as I could ascertain -- could say what that previous supposed "mission" was. No one I spoke with could even paraphrase it. No one. I’ve looked at those old Orders of Service, and I’ve read it, and I can’t paraphrase it either. That’s a problem. It’s like saying, we have elected a king who is the highest authority among us, but we’ve all forgotten who it is. If no one knows who the king is, then there is no king. And in the case of kings, in my opinion that’s a good thing. I’m a believer in democracy. 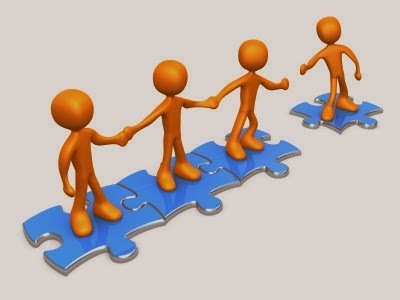 But in the case of a mission, a congregations really needs to be guided together by its mission. And if no one can even paraphrase what it is, then the mission is providing no guidance. Having a mission changes things. It doesn't make everything drastically different right away, but over the next few years, it should. This is part 3 of 4 of "Who's In Charge Here?" Next: Part 4: "The New Sheriff in Town"
Previous: Part 2: "Congregational Polity"
Unitarian Universalists have congregational polity. If you don’t know what that means, it’s worth knowing. So today's blog will review the basics of polity in faith-based organizations. It's crucial to understanding authority in those institutions. Polity addresses such questions as who has the authority to ordain a spiritual leader, install such leaders in a congregation, start up new congregations, close congregations, relocate a congregation? The three main forms of church governance, or polity, are congregational, Episcopal, and Presbyterian. In Episcopal polity, the chief authority over a local congregation is the bishop. The bishop appoints the spiritual leader (priest, vicar, minister, rector), and a person becomes eligible for such appointment by seeking ordination from a bishop. Bishops oversee various other matters of church operation, and the church property, under full Episcopal polity, would be owned by the diocese. Catholics, Eastern Orthodox, Anglican churches, and a number of Lutheran churches have Episcopal polity. 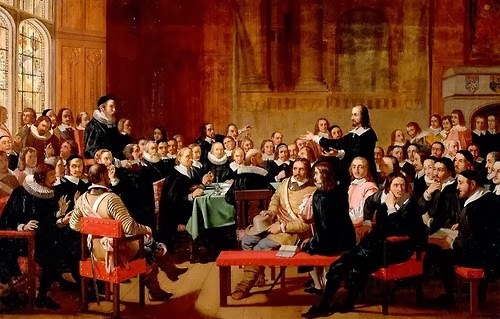 In Presbyterian polity, local churches are ruled by assemblies of presbyters, or elders. Reformed churches and Presbyterian churches have this kind of polity. In congregational polity, each congregation is autonomous. Unitarian Universalists, along with Baptists, Christian (Disciples of Christ), and United Church of Christ, have congregational polity. The congregation, by whatever process its own members decided to have, makes its own budget, raises all its own funds, makes its own bylaws, hires its own staff, owns its own property, and makes its own decisions about buying, building on, or selling its property. Under congregational polity, the congregation, not the bishops or the presbytery, has the authority to ordain. (On Sun Jan 26, Community Unitarian Church hosted an ordination service for Lara Campbell – now Rev. Lara Campbell. If you were able to witness that, you saw that ordination is not conferred by a hierarchy but by a congregation – in this case by two congregations, the Mt. Kisco congregation and the Church of the Larger Fellowship.) Ordination as a Unitarian Universalist minister, a.k.a. clergy, is not conferred by any higher authority, because under congregational polity, there is no higher authority. In the Unitarian Universalist system, we also have a thing called ministerial Fellowship, which is governed by the central authority, the UUA, Unitarian Universalist Association, in Boston. (This is basic church stuff, and it’s not terribly exciting, but some of you might not know this, and I think we all need to.) While a local congregation can exercise its own authority to ordain – using any standards, or no standards, as it sees fit -- admittance into ministerial Fellowship has very specific standards, including a Masters of Divinity degree, an internship, several rounds of psychological and career assessment, a unit of clinical pastoral education, and passing an interview with the Ministerial Fellowship Committee. When Community Unitarian Church needed a minister, there was no bishop or presbytery to simply send one. CUC had to form a search committee of its own members which selected a candidate who was then called by a vote of all members. As a matter of congregational polity, you were free to call anyone you deemed right for you. Unitarian Universalists congregations don’t have to choose a minister and at all – and many of our smaller ones don’t. If a congregation does choose to call a minister, almost always it chooses someone who is both ordained and Fellowshipped, but this is not a requirement. Congregations may, and sometimes do, call a minister who is ordained but not Fellowshipped, Fellowshipped but not ordained, or neither Fellowshipped nor ordained. I learned a couple days ago that a UU congregation out in Michigan this year called a Jewish rabbi to be their minister. Interesting. It can happen. That’s how we roll. Ministerial Fellowship is a stamp of approval from a centralized authority that is known to be very careful about who it approves. That credentialing is often very helpful for congregations looking for a minister, but not always. Some years ago, I was chatting with an Episcopalian rector and we were talking about the differences in our church governance. He shook his head at this concept of congregational polity. He said, “that’s letting the inmates run the asylum, isn’t it?” I had to laugh because, it’s funny, yet kinda true, because sometimes things do get a bit crazy in congregational life. Still, we’re all in this asylum together. There’s nobody here but us inmates. We’re all crazy, and sanity, if we find it, emerges from our collective support for the best in each other. I should hasten to note that, in practice, the differences between these forms of church governance are smaller than the formal description implies. Under our congregational polity, the congregation officially has the authority, but, when calling a minister, for instance, something like 97 percent of the time, they choose someone who is Fellowshipped – so there’s a lot of de facto authority resting in that centralized Fellowshipping agency. We can sing any songs we want to, but every Unitarian Universalist congregation I’ve ever been in uses the same hymnal – so there’s more de facto authority in our UUA, which assembled and publishes the hymnal. 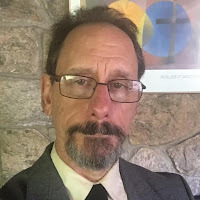 And under Episcopal or Presbyterian polity, there’s a hierarchy with the formal authority, but they know it’s wise to listen carefully to the local congregation – so there’s a lot of de facto authority resting in the congregation. So in practical terms, the differences are really rather small. Still, we have this congregational polity and we exercise it in a lot of ways. And congregational polity means the members own the congregation, right? Earlier, I said, ordination "is not conferred by any higher authority, because under congregational polity, there is no higher authority." Let me amend that. Actually, I think there is. This is part 2 of 4 of "Who's In Charge Here?" Next: Part 3: "The Day Things Changed at CUC"
Previous: Part 1: "Who's In Charge Here?" Authority is a complicated business. There’s the story of a Department of Water Resources representative who stops at a Texas ranch. He tells the old rancher, "I need to inspect your ranch for your water allocation." 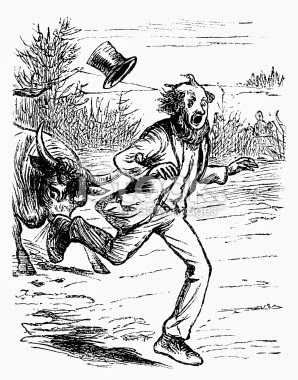 The old rancher nods politely, “All right, then.” Later, the old rancher hears screams and sees the Water Rep running for his life. Close behind is the rancher's bull, gaining with every step. The rancher throws down his tools and rushes toward the Water Rep, hollering, "Your card! Show him your card!" So: authority is contextual and relational. The authority created by, and held within, some contexts and relationship doesn’t exist in other contexts and relationships. Many statues and pictures of the Buddha depict him seated, with one hand touching the earth. The story goes that when Siddhartha Gautama, who became the Buddha, attained enlightenment under the Bodhi Tree, he was challenged by Mara, the voice of limitation, death and delusion. Mara asked the Buddha by what authority he could claim awakening. "By what right and authority do you think you can solve the mystery of suffering? Just who do you think you are?" It’s a lovely story. And there is one important question of authority that it answers. You, just like Buddha, have authority just by be being on this Earth. The Earth brought you forth and that is all the authorization required for you to be who you are – all the authorization needed for you to end your suffering. As important a point as this is, as crucial as it is recognize that everyone gets to be who they are, there are further issues of leadership and followership. Someone needs to be in charge. A few weeks ago, I posted a humorous quip on Facebook. I wrote: Why would a standing committee need a chair? But to get back to the serious question: Who’s in Charge? And a related question: Who owns the congregation? When I ask this question, I think the first thought most of us have is: the members own the congregation. After all, Unitarian Universalists have congregational polity, so we're beholden to no higher authority, right? Yes and no. Let's explore that. This is part 1 of 4 of "Who's In Charge Here?" Next: Part 2: "Congregational Polity"
Injustice in the restaurant industry is relatively easy to fix. We are not dealing here with some intractable problem built into the nature of human interaction or of capitalism or of the modern world. I’m not proposing steps that would put restaurants out of business. Justice for restaurant workers is actually good for business -- albeit perhaps not in the very short term. Restaurant owners just need a little more incentive to take the short-term hit in favor of longer-term gain. And that incentive can come from us, the customers. The customers have the power. I’m about to suggest that you do something that I myself, I have to confess, as of this writing, have never done. When you eat out, maybe not every time, but every once in a while, as your meal concludes, talk to people. This is terrifying for me because I am an introvert. I can stand up in the pulpit Sunday after Sunday because I had a lot of time by myself to think through what I want to say, and I’ve grown comfortable with that context. Striking up conversations with strangers about topics that might be prickly is never going to be a line in any song about a few of my favorite things. But I’m going to try. And if those of you who a little more extroverted than me will do it, and then tell me how it went for you, that’ll help me do it. And together we’ll be able to tell others. First, there’s talking to the workers. Second, there’s asking if you could see the manager. If possible, go to the manager’s office so that you can look around the kitchen on your way back. If you notice that all the wait staff are paler and all the dishwashers are darker, you might just mention that you noticed that. Do you think you could do that? At Community Unitarian Church, on Sun Feb 23, we'll be having a class to discuss Behind the Kitchen Door. By that time, I’m going to be able to say that that I have. We Unitarian Universalists pride ourselves in living our religion. "Deeds not creeds," is our motto. And we do have a long and proud history of Universalists and Unitarians living their faith in the world as union organizers. Unitarian Frances Perkins was the first female Secretary of Labor, often credited with the creation of social security. Indeed, way back 200 years ago, Unitarian founder William Ellery Channing actively supported the Workingman’s Association, a precursor to Labor Unions. Our forebears modeled faith-filled activism, worked for economic justice, labored for labor. follow-up by reading the Restaurant Opportunity Center's (ROC) National Diner's Guide to Ethical Eating (CLICK HERE). Come to the class on Sun Feb 23 -- at 11:30 at Community Unitarian Church -- to talk about it. 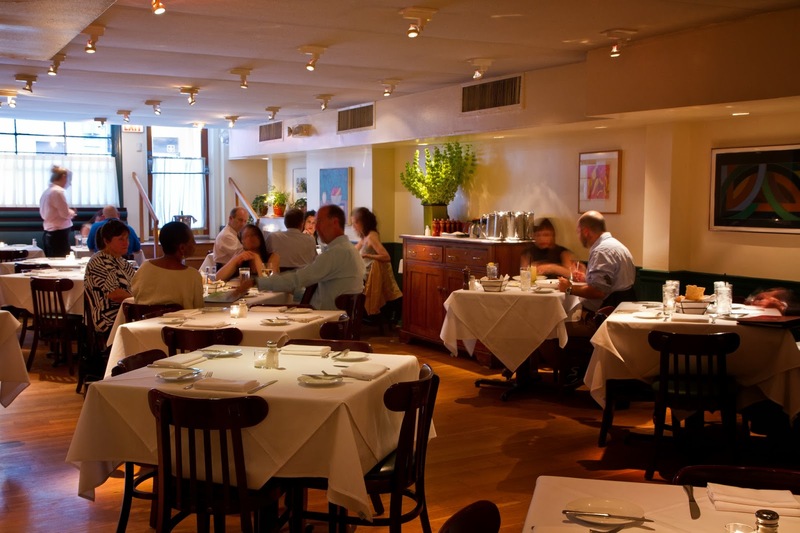 You can find out which restaurants have fair labor practices and go to those. I’ll tell you that in the New York area restaurants getting high marks include Shake Shack, Gramercy Tavern, Union Square Café and all of Tom Colicchio’s places like Witch Craft and Riverpark. The chains getting low marks for the way they treat their workers include Friendly’s, Chili’s, Applebee’s, IHOP, Chipotle, Cold Stone Creamery, Dominos, Olive Garden, Outback, Red Lobster and Yard House. Diner’s guide, guide my feet. Guide my feet along the paths of justice – and along the path of food that is good – good in the ethical sense as well as in the gustatory sense. This is part 4 of 4 of "Behind the Kitchen Door"
Previous: Part 3: "Restaurant Injustice"
Beginning: Part 1: "Ethical Eating...Out"
Friends, there are egregious injustices in the restaurant industry. “Our food system now treats millions of workers like disposable commodities, paying them poverty wages, denying them medical benefits and sick pay, and tolerating racism and sexism on the job. . . .
“Dishwashers, who earn minimum wage or less, are almost always the darkest-skinned immigrants or people of color in a restaurant. . . . Only 6.1 percent of all dishwashers were white. Almost one-third [of restaurant workers] report they have been passed over for a promotion because of their race.” Overall, there’s a $4 an hour wage gap between white workers and workers of color. Summer 2011? Oh, yeah. I was just down the road in Charlotte, North Carolina for part of that summer, casting my vote in support of a Statement of Conscience on ethical eating. Requiring workers to clock out and then keep working. Management illegally taking a share of the tips – or, in the case of certain banquet arrangements, sometimes all of the tips. Requiring workers to report more tips than they actually make so that the management doesn’t have to make up the difference between the $2.13 wage rate and the federal minimum wage of $7.25. Enforce the laws against wage theft. Set the same minimum wage for tipped and non-tipped workers. Seven states – all western or Midwestern – Minnesota, Montana, Alaska, Washington, Oregon, California, and Nevada – “have the same minimum wage for tipped and non-tipped workers, and all have thriving restaurant industries. Some restaurant owners are finding that paying their workers a decent wage is, indeed, a win-win proposition because better paid workers means less turn-over, a more harmonious work environment, workers that feel invested in the business. A restaurant owner who doubled the workers wages today would take a hit in the short term, but over the long term, the reduced costs of turn-over, and the higher productivity would return the restaurant to profitability – without increasing the prices to the customer. This is part 3 of 4 of "Behind the Kitchen Door"
Next: Part 4: "Food That Is Good"
Previous: Part 2: "Where American Culture Happens"
We are a nation that loves to eat out – more so than Europe, Asia, Africa, or Latin America. 50% of Americans eat out once a week. Half of our caloric intake comes from the away-from-home market – which includes all the carry-out, the stopping for a bagel on the way to work, and bringing a pizza home for dinner. Still, sitting down to share a meal in a restaurant is such a prevalent way for us to eat – for routine meals, and, especially, for the significant get-togethers in life. They don’t all love the work – yet the nature of working for tips is that they better pretend to if they don’t. Even when the work feels meaningful and real – it is often exploited. For many, it’s a just a drudgery, or worse. The misery and unfairness in the restaurant industry is all the more tragic because it could be so easily fixed. This is part 2 of 4 of "Behind the Kitchen Door"
Next: Part 3: "Restaurant Injustice"
Previous: Part 1: "Ethical Eating . . . Out"
One of the important things that happens at the Unitarian Universalist General Assembly is selection of a Study/Action Issue. We select just one Study/Action Issue every two years. Three -- or sometimes four -- years after selecting a Study/Action Issue, the delegates at General Assembly decide whether to adopt a Statement of Conscience about that issue. We choose our Study/Action Issues for four-year periods, so we are always in the first two years of one issue and in the second two years of the previously selected issue. I've been to 13 General Assemblies over the last 16 years. I was at General Assembly 2008, in Ft. Lauderdale, Florida. Being an even-numbered year, the delegates debated, deliberated and chose a Study/Action Issue. In 2008, the two issues up for consideration were nuclear disarmament and ethical eating. Both are important, but our process calls for a focus on only one new issue every two years. Each issue was represented by a series of worthy advocates who made their case to the delegates. 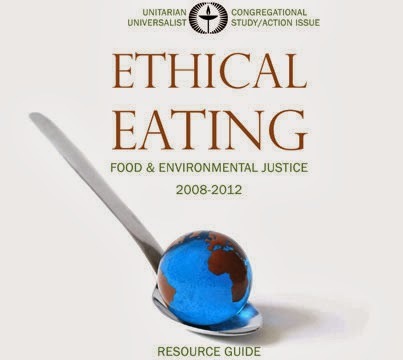 When the vote came, a significant majority supported making “Ethical Eating” the study/action issue for 2008-2012. Across the land, our congregations were enjoined to investigate the various questions related to eating ethically. Our denominational headquarters produced resources and study guides. I was also at General Assembly 2011 in Charlotte, North Carolina. One product of our denomination-wide reflection in the the intervening three years had been the emergence of a draft statement of conscience. In Charlotte, further amendments were proposed and debated, some of them incorporated, some not, and a final Statement of Conscience for Unitarian Universalists was adopted. It didn’t say anything about restaurants, though. There has been a shift, among Unitarian Universalists and in general culture. More and more of us are at least thinking about such subjects as where food is produced, how it is cooked, and how the animals were treated. The word “locavore” – someone committed to eating locally grown food – was first coined less than 10 years ago. Vegetarianism has increased from just 1 percent of US citizens in 1971 to 13 percent as of 2013. Chances are pretty good that either you are already vegetarian, or you’ve found yourself considering it more seriously in recent years. Organic food sales in the US from 2004 to 2012 increased by two and a half times from $11 billion to $27 billion. While the plight of migrant farm workers still remains both tragic and largely hidden, it has been a slowly growing concern. We are becoming a nation increasingly thoughtful about the ethics and impact of what and how we eat. Thinking about the working conditions of the waitstaff, cooks, bussers and dishwashers in our restaurants has been slower than the other food issues to make it onto the radar of our ethical awareness. 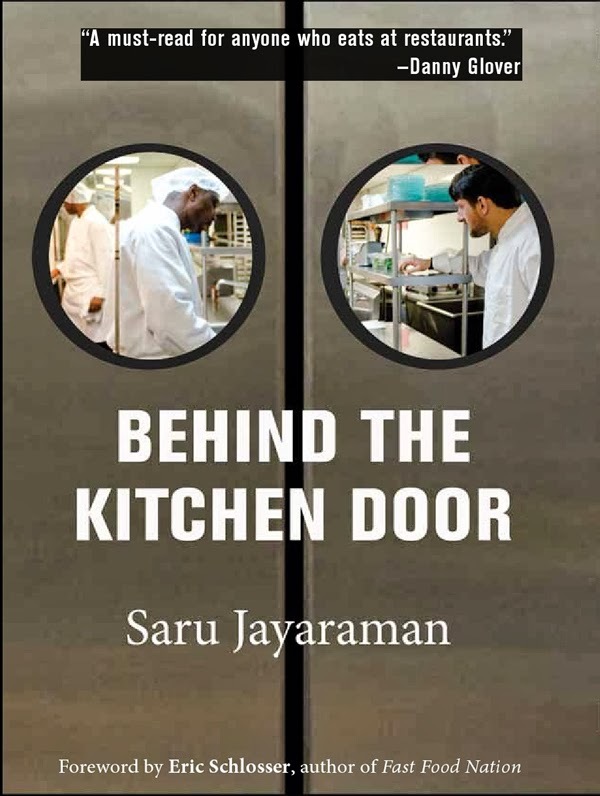 That, too, is beginning to change, as the UU Association selected Saru Jayarman’s book, Behind the Kitchen Door as this year’s Common Read for Unitarian Universalists. This is part 1 of 4 of "Behind the Kitchen Door"
Next: Part 2: "Where American Culture Happens"
"NVC" is Nonviolent Communication -- an approach to living developed by psychologist Marshall Rosenberg. Rosenberg did give give rousing speeches at political rallies, or organize marches, boycotts, sit-ins, or hunger strikes. Yet his work treats of the essence of violence and nonviolence, and it paves the way for profound social change. Rosenberg has outlined a simple – deceptively simple, for it is very challenging -- four-component process for both speaking and listening. It doesn’t seem that complicated or hard. Our lives subject us to stresses and conflicts, and we are prone to respond a heart-hardening that is no easy matter to train out of us. Without intentional practice, our "jackal voice" (small, mean, focused on self-protection) tends to win out over our "giraffe voice" (big-hearted). Request: to be able to ask and not demand. (For a tad bit more -- say, 700 words -- of an intro to NVC, SEE HERE.) These are subtle skills. It’s no wonder that our Gandhis, our Martin Luther Kings, our Aung San Suu Kyis have been so rare in human history. The extensive spiritual training and depth they each had allowed their hearts to soften and become wise enough to lead their heads. The teachings of a faith tradition alone don’t magically make it happen. It also takes deep commitment to the vision the teachings point to. The vision is creating a quality of connection among people that supports getting needs met through natural giving. The vision is a focus on two questions: what is alive in me and alive in you – and how can we contribute to making our lives wonderful. 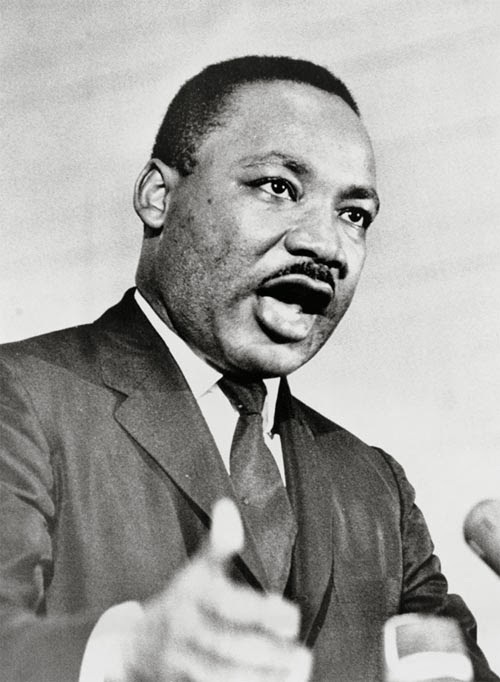 There are resources available to us that weren’t available in Martin Luther King’s time for realizing his dream of peace and justice – and the resources of the teachings and methods and commitments Nonviolent Communication are, to my mind, the most significant, and the most promising hope for nonviolent social change. There is much to learn here – a lot to take in and practice and internalize. I’ll share one story to convey a taste of it. 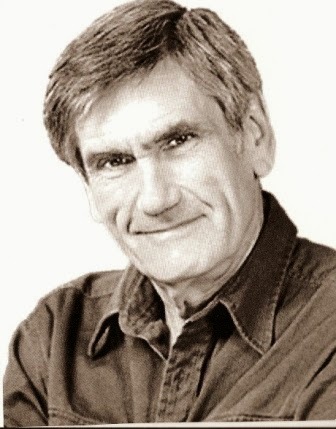 This is Marshall Rosenberg in his book, Speak Peace in a World of Conflict. I don’t know if this nonviolent social change will happen, but I know that it could. And I know that if it does – if we shall overcome -- it will happen because we learn the skills to hear each other with compassion. Our Unitarian Universalist history from the 60s shows us that it’s not enough to want to be compassionate, to want to stand for justice. We have to learn how. We have to learn the skills to hear each other with compassion. Cognitive brain learns quickly. Limbic brain is slow and needs a lot of practice, and it’s limbic brain that needs the training. There are weekend workshops that we could have here. We could create practice groups meeting monthly to gradually hone the skill of hearing each other with compassion. We can make that happen if we want to. Tell me. Shoot me an email, give me a call, catch me after the service. If we have the interest, we’ll make it happen. Compassion is a path. On that path, we’ll go together to that land where there’s justice, where there’s freedom. Come with me to that land. This is part 3 of 3 of "Nonviolent Social Change"
Previous: Part 2: "The Essence of Violence Is in the Heart"
Beginning: Part 1: "To Hear Each Other with Compassion"
Dr. King recognized that the essence of violence is in the heart. Bombing people, shooting people, gassing, stabbing, clubbing, hitting, and torturing people are not the core of what violence is. Those things are merely the manifestations of a heart that is disconnected. For instance, consider the fact that we are more shocked by the desecration of bodies killed in combat than we are by the killing itself. That’s because such desecration reveals to us an essence of violence – a dehumanizing hatred behind the shooting and killing – an essence that we may prefer to pretend wasn’t there. It’s the dehumanizing hatred that is the essence of violence. What we call acts of violence are merely the manifestation of a heart that hates. Nonviolence, then, is not merely refraining from shooting, stabbing, clubbing, kicking or hitting others – as important a step as that is. Nonviolence is a heart committed to softening instead of hardening. Nonviolence is a heart that loves, that respects, that reveres life, that connects and wants to connect. And we are violent to each other – whether we ever raise a hand or raise our voice to each other – whenever we fail to respond to each other out of reverence for the wonder of the life that is before us. Reverence for the wonder of the life that is before us. And there’s more to it than the general skill-set we call “emotional intelligence” – though that’s a key aspect. Reverence for the wonder of the life that is before us is what I would call a spiritual virtue, and it is cultivated through spiritual discipline. Nonviolence is a spiritual commitment that comes from a spiritual understanding. The heroes of nonviolent social change pictured at right -- Mohandas Gandhi, Martin Luther King, Aung San Su Kyi – weren’t just effective political organizers who happened to tell their followers, "Oh, and, by the way, no hitting." They were at the forefront of social change that we call nonviolent because they each had the emotional and spiritual grounding to understand the essence of violence as in the heart. Before Gandhi, massive opposition to a prevailing government was called revolution if it succeeded and rebellion if it didn’t, and it involved weapons and fighting and lots of violence. Such a scale of opposition had never been nonviolent. 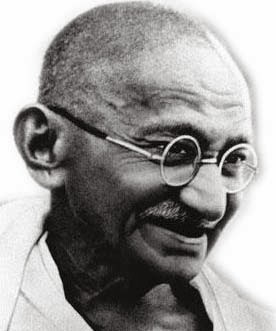 Gandhi was practicing what his Hindu faith teaches of ahimsa: the principle that all living things are connected and form a unity requiring respect and kindness. King was practicing what his Christian faith teaches of love – often referenced as the Latin caritas, or the Greek agape: a spiritual love. Agape, as one theologian puts it, is “an intentional response to promote well-being when responding to that which has generated ill-being.” King took to heart Jesus’ words, “love your enemy,” and his faith tradition taught him to answer hatred with love. 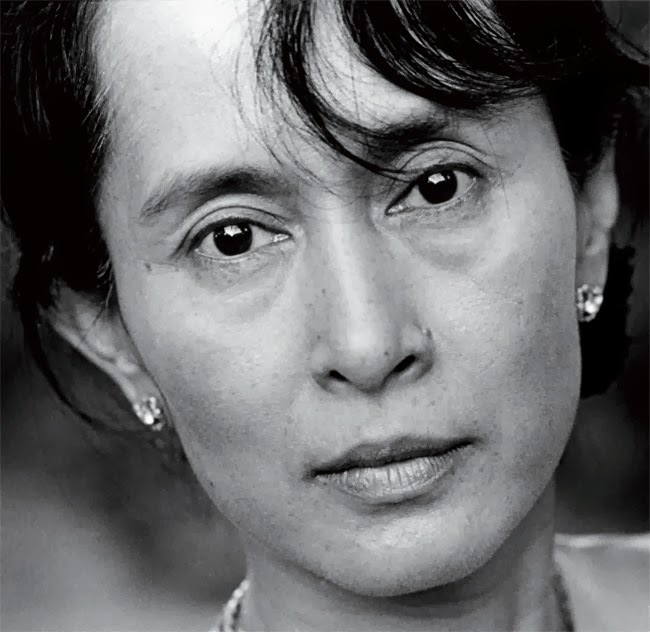 Aung San Suu Kyi is practicing what her Buddhist faith teaches of karuna (compassion), and anatta (no self). There is no self separate from others; each of us is all of us; we cannot truly want to hurt them. You or I may never rise to their level. But there are some things we can learn to get better at nonviolent social change. This is part 2 of 3 of "Nonviolent Social Change." 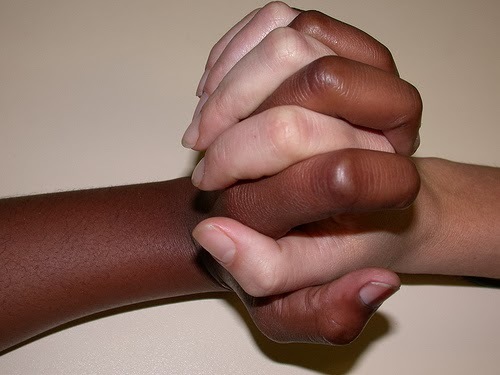 Next: Part 3: "Social Change Through NVC"
Previous: Part 1: "To Hear Each Other with Compassion"
In the years just before and just after Martin Luther King's death in 1968, the Unitarian Universalist efforts to address racial justice tore us apart. We were, and are, proud of our presence and support in Selma in 1965. Five hundred Unitarian Universalists participated with Dr. King in that march from Selma to Montgomery, including over 140 Unitarian Universalist clergy -- 20 percent of all UU ministers in final fellowship at that time. We seemed -- to ourselves -- so clearly to be on the "right" side. The line between us (the good guys) and them (the racists) seemed well-established. Then, in 1967, two years after Selma, 135 Unitarian Universalists came to New York for an "Emergency Conference on Unitarian Universalist Response to the Black Rebellion." Therein begins the messy and forlorn tale of the BUUC, the BAC, and the BAWA. Almost as soon as the meeting was called to order, 30 of the 37 African American delegates withdrew to form a Black Unitarian Universalist Caucus (BUUC). The BUUC developed a list of what they called "non-negotiable demands" to be submitted to the conference and, ultimately, the UU Association's Board of Trustees. The core demand was that the board establish a Black Affairs Council (BAC), to be appointed by the BUUC and funded for four years at $250,000 a year -- which would have then been 12 percent of the UUA's entire budget. The next General Assembly approved these demands. Then the General Assembly after that, finding that funds had grown tighter, wanted to spread the million dollars over five years at $200,000 a year instead of four years at $250,000 a year. The BUUC seemed heavy-handed to some, and another group, "Black and White Action" (BAWA), formed -- also sincerely wanting to advance the cause of civil rights. 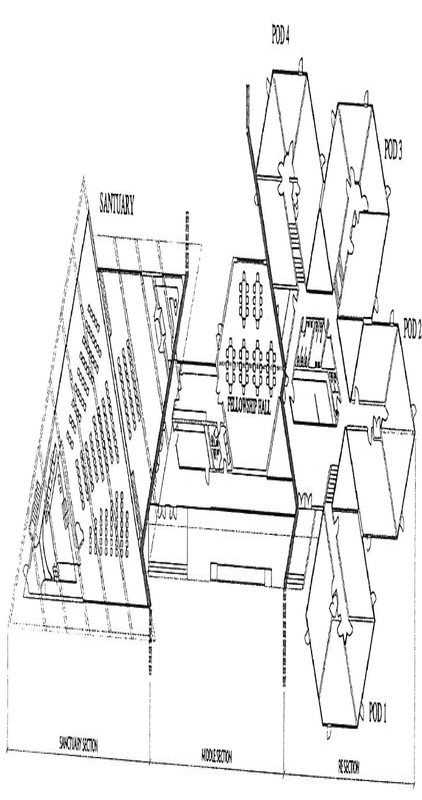 Very hard feelings erupted on the floor of the General Assembly 1969 in Boston. Almost all of the 200-300 black delegates there got up and walked out. The BUUC folks denounced the BAWA folks. Our denomination, over 44 years later, is still struggling to come to terms with the events of that General Assembly and the issues raised. Yes, it seems the leadership of the UUA had some paternalistic civil rights attitudes. And, yes, the BUUC leaders might have chosen to be content with recognition and funding and not vindictively insisted on "not one penny for BAWA." And, too, the BAWA supporters might not have reacted against the BUUC as if their lives depended on it. Sometimes, reading the accounts about that awful fighting, I cry. We so wanted to fight for justice – to stand for acceptance and fairness. And we so didn't know how – didn’t have the skills we needed. How do we learn the skills to hear each other with compassion? On the third Monday of January, we honored Reverend Doctor Martin Luther King, Jr. King’s legacy is most clearly and publicly embodied in The King Center in Atlanta: The Martin Luther King Center for Nonviolent Social Change. It’s not the center for civil rights; it’s not the center for advancement of minorities; it’s not the center for anti-racism and multiculturalism; it’s not the center for civil disobedience; or even the center for justice – though King stood for all of those. It’s the center for nonviolent social change. Building from King’s life and work, what have we learned about nonviolent social change since his time? King had a dream of peace and justice. Are there resources available to us that weren't available to him for realizing that dream – for effecting nonviolent social change? King would have celebrated his 85th birthday this year -- and it's been almost 46 years since his death. What do we know about standing for justice without the divisions that have torn us apart How do we learn the skills to hear each other with compassion? In this series, I'll have some thoughts about that. This is part 1 of 3 of "Nonviolent Social Change"
Next: Part 2: "The Essence of Violence Is in the Heart"